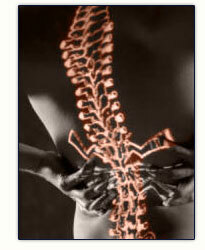 Another type of medical malpractice case which a Dallas attorney may see is spinal cord injuries caused by surgeons. Sometimes surgeons will negligently operate on the wrong disc and cause damage to the spinal cord. Sometimes the anesthesiologist will negligently cause a spinal cord injury. If caught early, a doctor may be able to prevent paralysis or death. Early diagnosis and intervention is a key. A delay in diagnosis can lead to permanent paralysis and death. Spinal cord injuries have led to some of the largest jury verdicts a medical malpractice attorney will see in Dallas. If you or a loved one has sustained a spinal cord injury because of the negligence of a surgeon or anesthesiologist, call the Dallas Medical Malpractice Law Firm now. The Medical Malpractice Law Firm has successfully litigated many cases involving spinal cord injuries. If you need a medical malpractice attorney in Dallas, Texas call The Medical Malpractice Law Firm.